Plant Health Care Plc (LON:PHC) CEO, Dr Chris Richards talks to DirectorsTalk about the performance of its commercial products, becoming cash positive, Innatus 3G licensing and developments in trials on other PREtec peptides. – On track to achieve full year revenue expectations, which would represent 30% growth over 2017. – Successful launch of Harpin αβ in sugarcane in Brazil, supported by demonstration plot yield increase of 20% or more; the Board expects significant progress from this crop over the coming years. – Contract for a Harpin αβ product to be used on corn in the USA, leading to significant first sales in the second half of 2018. – The main focus has been on field trials of InnatusTM 3G, added to chemical sprays for the control of Asian Soybean Rust (ASR) in Brazil. – In contrast to previous years, conventional chemical sprays worked well this season, so Innatus 3G added only marginal value to disease control. – Results indicated that Innatus 3G increased soybean yield by 6-7%, even at low application rates. – The Company is in discussion with partners on plans for further trials in South American soybeans in the 2018/19 season. – As a result, the Company no longer expects to conclude a licence for rights to Innatus 3G in South American soybeans in 2018. – The Company is working with multiple partners evaluating PREtec on more than 10 different crops in three regions around the world. – The Company continues to have high confidence in the value of PREtec. The Company’s cash reserves at 30 June 2018 were $6.1 million. Strong growth of our Commercial business in 2017, together with new launches in 2018, give us confidence that the Company will be cash positive in 2020, within existing cash reserves, and is not reliant on income from New Technology to achieve this. 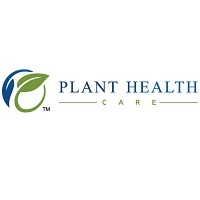 Plant Health Care Plc expects to announce its interim results for the period ended 30 June 2018 in mid September 2018.